Myrtle Beach Safari in South Carolina is home to the most unlikely of best friends. 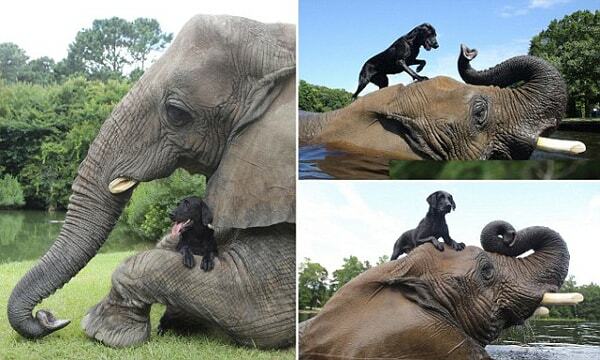 Bubbles, a 9,000-pound elephant, and Bella, the Labrador retriever, are the very best of friends. Bubbles and Bella spend their days together taking long walks or going for a swim in the park’s pools. Bubbles was rescued in 1983 after her parents were both found killed for their ivory by poachers in Africa. When Bubbles first arrived, at Myrtle Beach Safari, she weighed only 340 pounds and stood 42 inches tall. Now, she is over 9 ft tall and weighs about 4 tons. Bella was left at the park in 2007 by the contractor who was building Bubbles her swimming pool. The abandoned puppy Bella found Bubbles and a beautiful friendship was born. Bella as a puppy with Bubbles. 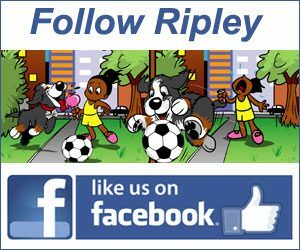 Are you looking for your own black lab? Why not get a rescue dog? Try PetFinder.com. Jake spends most of his time playing video games indoors instead of discovering what's waiting outside the front door. One day his mother decides to get a little surprise for her son and gives him The Present. Watch the short animated film, The Present.